Introducing the POURfect line of products- the only complete mix, measure and pour set available in the market today to help perfect standard baking gadgets. Made entirely in the USA, POURfect Products address common frustrations and mishaps in the kitchen to make food preparation easier, more accurate and tidier for anyone. 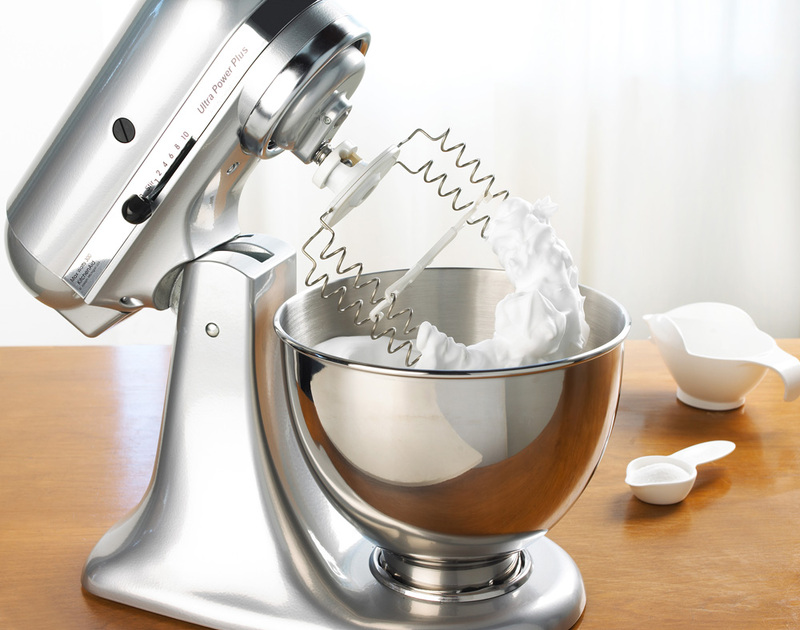 The POURfect Product line will complement any kitchen's decor and KitchenAid appliances. The revolutionary new Whisk-A-Bowl from POURfect products whisks at speeds unheard of until now. It slices through ingredients in both horizontal and vertical directions at the same time, while traditional whisks only cut through the ingredients in one direction. The spiral design acts like an auger to pull air down to the bottom of the mixture. The dual cutting action creates minute air bubbles which have a greater surface area which creates a lighter, tighter bond. This results in less weeping in egg whites and completely eliminate weeping in meringue. Imagine going from 6 weeping egg whites to pristine meringue with stiff peaks in less than 2 1/2 minutes. This whisk completes the task in as little as 1/3 of the time and stiff peeks remain stable for up to 5 times longer than a traditional whisk. The smaller air bubbles are more stable than large air bubbles when heated. Your mousse and cakes will rise higher and more evenly. Use your Whisk-A-Bowl for egg whites, whip cream, meringue and icing. Do not use for heavy mixing such as hard butter. Designed for use with the KitchenAid 4-1/2-Quart tilthead and 5-Quart Artisan models.